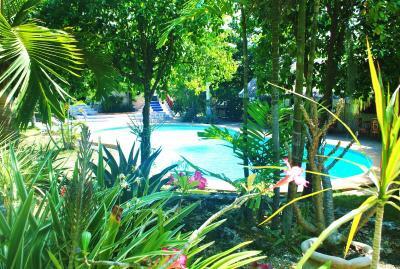 Lock in a great price for The Blue Orchid Resort – rated 8.6 by recent guests! The food was amazing! They have the best mushroom omelettes and the squid adobo was a special treat, as was the green thai prawn curry. 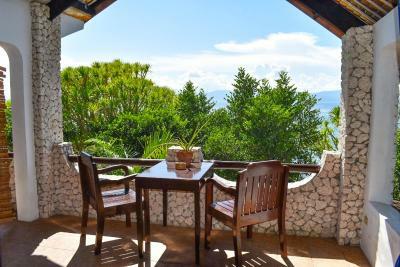 Also loved the view and the fact that our chalet was facing the ocean. Esmerelda- the resort's special guest was also a welcome treat. 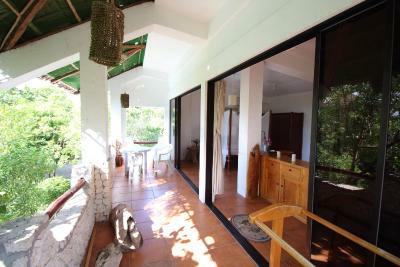 The property was as expected based on photos - the rooms are basic. The food was EXCELLENT and the sunset views cannot be beat. Thoughtful and laconic territory of the resort and the room. The light-filled room with low window sill. Friendly and helpful staff. Early check-in and later check-out without additional fee. Many live corals, seasnakes on the reef. Food quality was good, the garden had lot of nice trees and of course Esmeralda the smart hornbill. 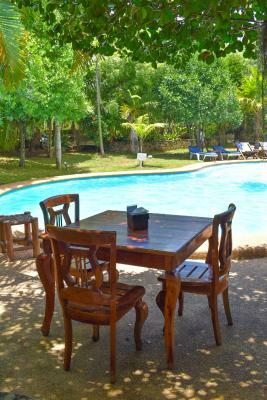 Pool & Bar/Restaurant area, easy access to great snorkelling, friendly & helpful staff. 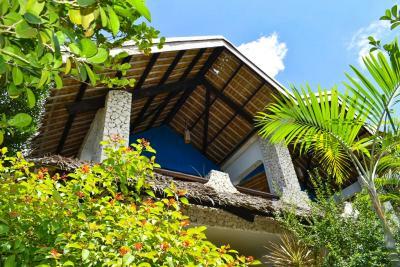 The Blue Orchid Resort This rating is a reflection of how the property compares to the industry standard when it comes to price, facilities and services available. It's based on a self-evaluation by the property. Use this rating to help choose your stay! The Blue Orchid Resort offers peaceful and relaxing stays, about 5 mi from Moalboal. 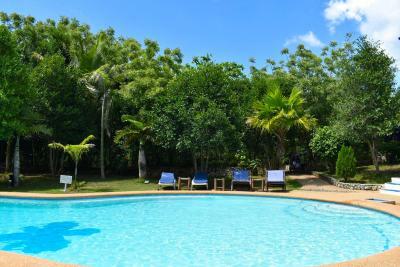 It features an outdoor pool, several water sports activities and free WiFi access. 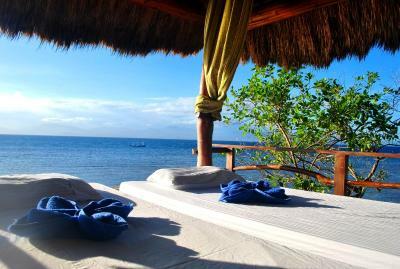 The Blue Orchid Resort is a 20-minute boat ride from the popular dove site of Pescador Island. 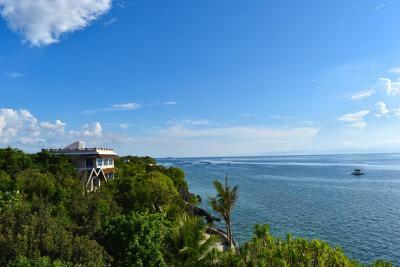 It offers free parking and is a approximately a 3-hour drive from Mactan International Airport. 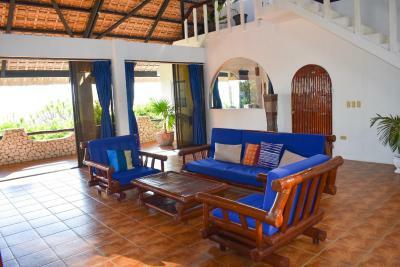 Opening out to sea views, rooms are breezy and feature private terraces. 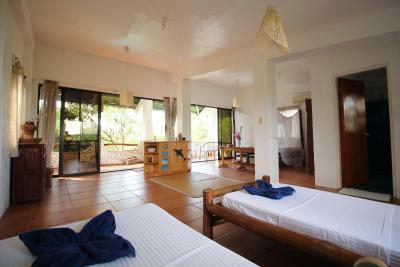 Equipped with either a fan or air conditioning, all have a private bathroom and mosquito net. The on-site dove center offers diving and snorkeling trips. 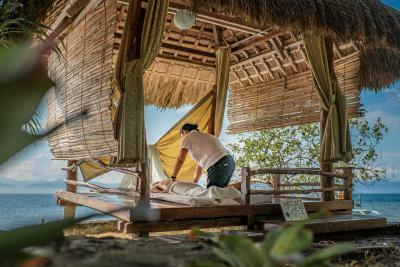 Alternatively, guests can also explore the surrounding region on a scooter, or relax with a massage. 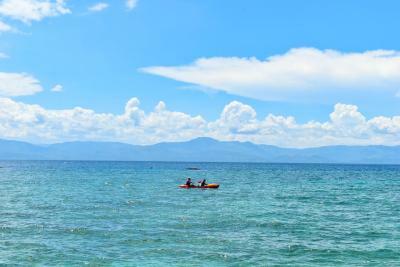 Adventure activities such as canoeing, and kayaking can also be arranged. 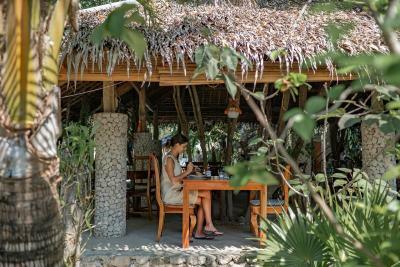 Local and international dishes are served at the in-house restaurant. 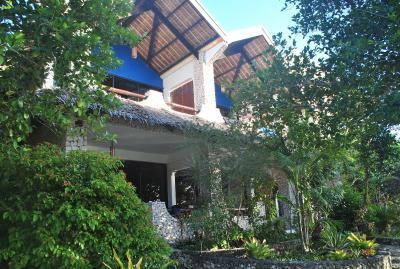 When would you like to stay at The Blue Orchid Resort? 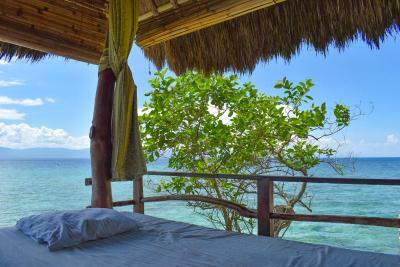 Offering views of the sea, this air-conditioned room is equipped with a king bed with mosquito net and a private bathroom with shower facilities. 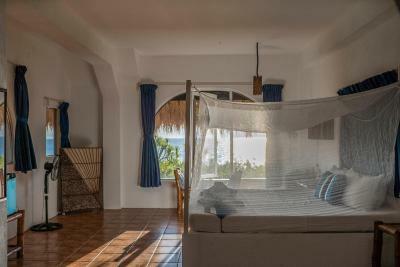 This air-conditioned twin room is fitted with mosquito nets. 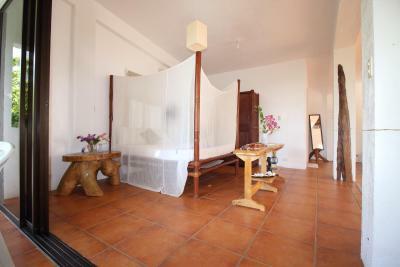 A private bathroom with shower facilities are also included. 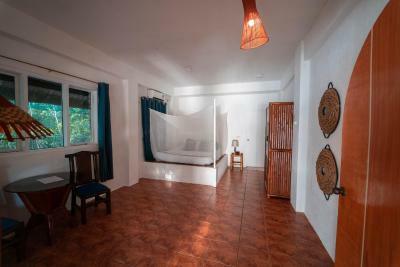 With a balcony leading onto views of the sea, this family room features air conditioning, a private bathroom with free toiletries, and a mosquito net. 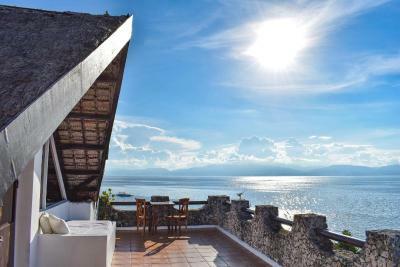 This air-conditioned suite offers a balcony with sea views. 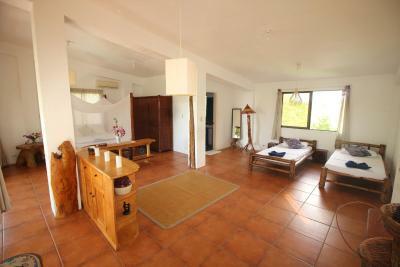 The unit is fitted with a private bathroom with bath and free toiletries. Other amenities also includes a flat-screen TV, a mini-bar, and a wine or champagne. 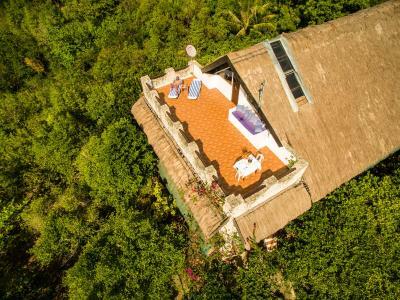 Fitted with air conditioning and equipped with a mosquito net, this room features a balcony with pool views and a private bathroom with free toiletries. This double room has a balcony, tile/marble floor and soundproofing. 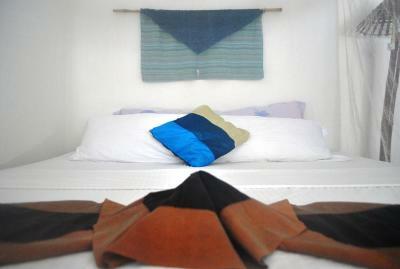 The unit is fitted with air conditioning and a private bathroom with free toiletries. 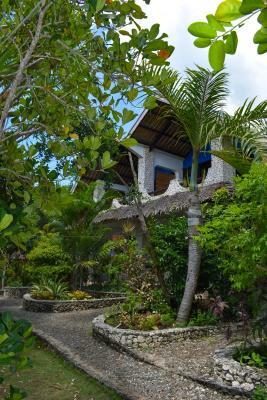 We are a secluded resort at the end of Moalboal famous whitebeach. Its where water and jungle meet. Nestled perfectly in the middle is us. 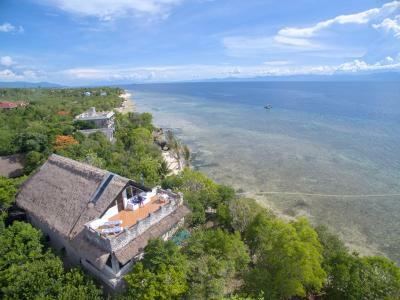 With the best diving right on our doorstep, this is a perfect getaway for both the relaxed holiday maker or the more adventurous. 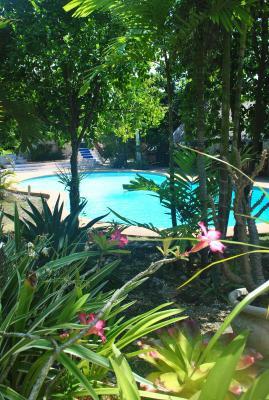 With a fabulous restaurant, pool, tennis courts and activities centre a weeks holiday can happen without ever leaving us. House Rules The Blue Orchid Resort takes special requests – add in the next step! Please inform The Blue Orchid Resort of your expected arrival time in advance. You can use the Special Requests box when booking, or contact the property directly using the contact details in your confirmation. 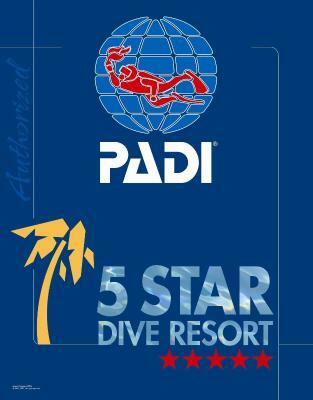 Great place with great facilities and good connections with local tour companies to ensure you can enjoy all the attractions during your visit, diving instructor was fantastic and very accommodating for our needs. 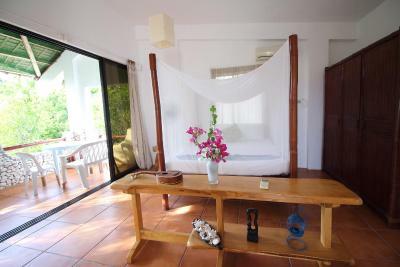 The rooms are clean and have beautiful views over looking the sea. Food is fantastic and very reasonably priced. Would highly recommend. Cool place with cool employees. We enjoyed it very much. Good recommendations on trips. It might be difficult to go there to commute, but there are tricycles available from the town proper. I think you can also rent a motorcycle. We liked the food and ambiance. 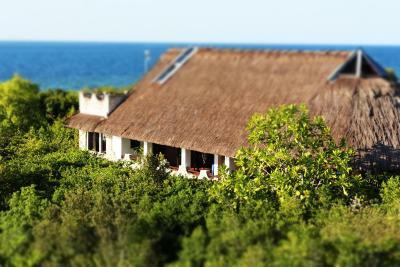 The staff are very nice; the place is perfect for those looking for some R&Rs. The nice view from the room. Personal very pleasant. Thanks you for letting me do the check out at 1pm!!!! Wifi was poor. Food was basic. No hair dryer or TV in the room. Pretty pricey for the Philippines. Also when we were checking out, the unhappy receptionist told us it was custom to leave 10% tip. Which would of been a $100 after our 3 night stay. I've never had a hotel ask for a tip. Especially not such a steep one. Majority of the staff was very helpful! Great view! Esmeralda was a delight. Cute puppies running around. Good snorkeling right off the dock. The internet was an issue. However, we recognize that this is an issue overall, in most parts of the Philippines. In addition, there were no towels or water in the room when we arrived. this was dealt with the next day, upon our request. Finally, they kept running out of craft beers. ... difficult to pinpoint anything ! What a stay! The staff were great and so accommodating. 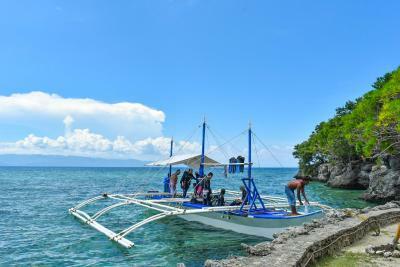 Their knowledge of the area ensured we made the most of our time in Moalboal. There’s a great selection of food and the rooms have everything you need. Can’t wait to come back one day ! There is not direct beach access -- you have to walk through the property next door. There is a "mad made" beach on the property which is nice for a quiet place to lay on chairs, but its not the same as a beach. Make sure you bring water shoes, the coral is hard to walk on. Also, be prepared for a 3 hour+ drive from the Cebu airport. Amazing location, staffs and foods! All staffs work with fun everyday. All the foods are very very good. They arranged all the tour for us, all we need is just enjoy our stay. Appreciate all of their service and hope to stay again!! 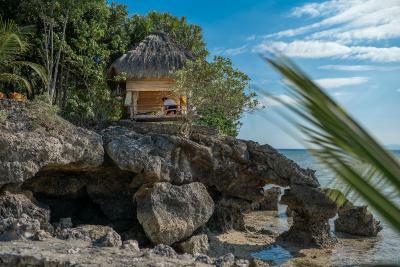 The location is off the beaten path and down a very, very bumpy dirt road but in the end it is a very exclusive and exotic location about 15-20 minutes from the town. My suggestion would be to upgrade some of the room interiors. Definitely feeling the age of the property. 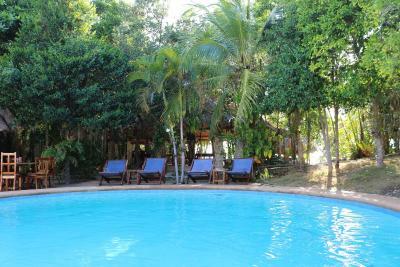 The Blue Orchid is a boutique hotel with a wonderful staff that go out of their way to make you feel special and at home. 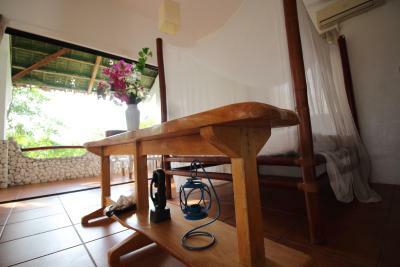 From the moment we arrived the staff were always very friendly and willing to chat with the guests. Some of my most memorable times were having drinks in the central pool bar in the evenings with the staff and new friends staying at the resort. 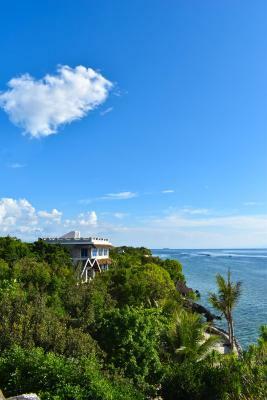 The property has stunning ocean views and the perfect spot for diving and water activities. Additionally, the Dive Shop and team were top notch. Very professional and accommodating. We enjoyed many memorable dives that were world class seeing more than 20 turtles and millions of Sardines. The Sardine dive ranks as one of my all-time best dives. 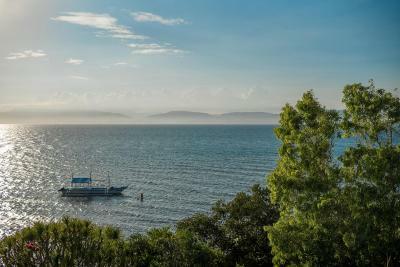 The Blue Orchid is the perfect Dive Spot for professionals as well as beginners looking to do Intro dives. Also just walking distance from White beach which is a gorgeous beach. 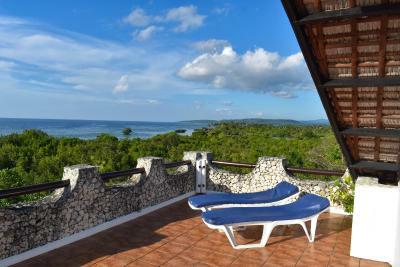 Key activities to do while here are: Snorkelling with the Whale Sharks, Diving with the Sardines, Cliff Jumping at Kawasal Falls. We liked everything! Friendly staff, good and large home reef. 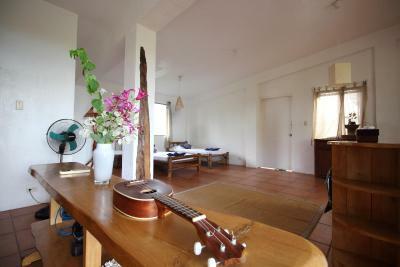 The family room was spacious and well-designed and equipped. Photos and score does not match with what you pay. Is over rating and over priced. Bumpy "last mile" from the road to the White beach. The long "road" to reef lies underwater and doesn't comfy in windy weather. Very unstable and slow wi-fi. It worked only 10-15% of the our booking time and for sending text messages only. The resulting check includes 10% "gratitude fee" on the all resort's facilities (booking, meal, activities, etc.). It's optional but the staff waited for it.